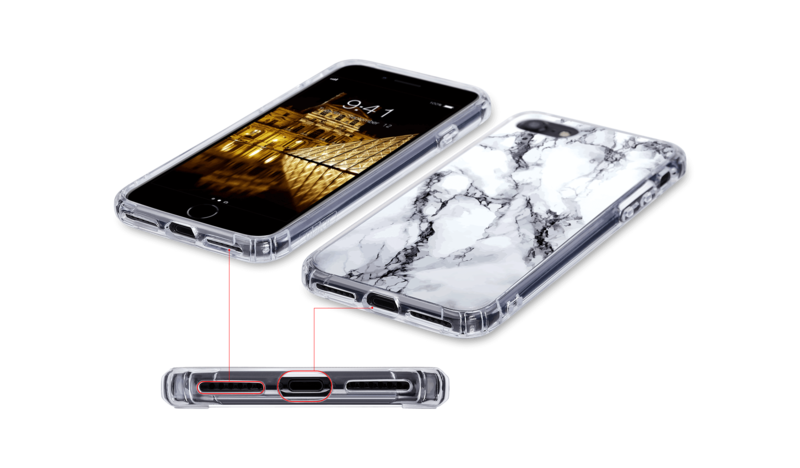 ULAK Marble iPhone 8 case and iPhone 7 case is made of Flexible Soft TPU Bumper and a Hard PC Back Panel.This hybrid clear case is designed to prevent slipping anti-scratch and anti-fingerprint.The crystal clear back designed to preserve the original look of the phone without yellowing over time. Corners are guarded with shockproof Technology that takes all the shock from everyday impacts. Take the Ultra Hybrid to another level by adding personality with personalized items to flaunt with the device. 6.Impact resistant bumper design; Easy access to all buttons, ports, camera, sensors, speakers and feature. 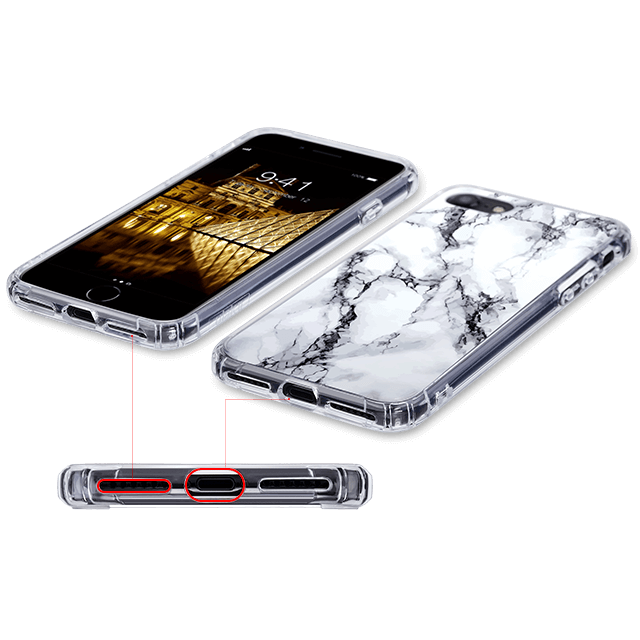 Package included: 1 X Clear iPhone 7 /iPhone 8 4.7 inch Case.